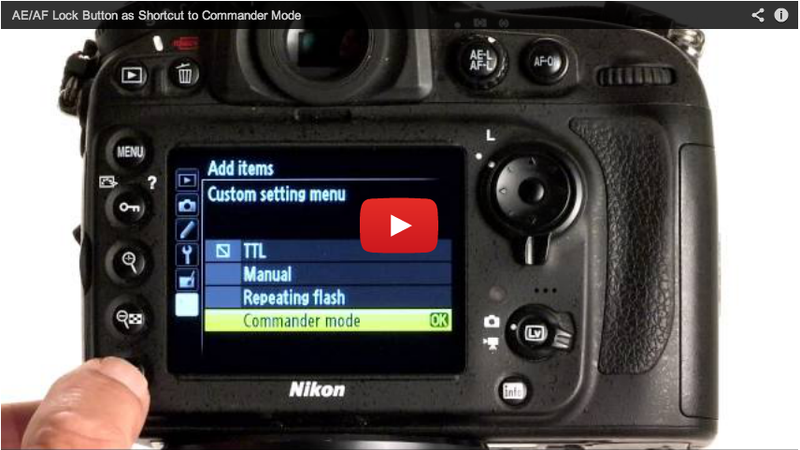 David Tejada brings us this fantastic tip that is all about optimizing your camera settings for shooting with the built-in flash as a commander for your speedlights. Changing these setting used to be completely impractical due to the time it used to take. Now with this simple switch of controls, the menu to adjust your power settings from the back of the camera is a single button press away, making it a true convenience as opposed to a bell or whistle.